Is “Tell-Us-Once” the Future of Government Services? The speed and convenience of commercial services has dramatically increased in recent years. Today, a whole host of things – music, news, books, and movies – are available instantly from the push of a digital button. This isn’t a strictly digital phenomenon; physical services have also sped up and improved customer service as a result of digital interfaces and more real-time connectivity– you can order a faster and cheaper taxi through various apps, you can get mail-ordered groceries online, Amazon has a diaper subscription service, etc. This accelerated pace of commercial service has created expectations for government services to be better and faster . A poll of Canadians in early 2017 by Accenture revealed that almost half of Canadians (45%) wanted more government services online or accessible through a smart-phone, and a similar number wanted government services to match or exceed the service standards offered by the private sector. The government has struggled to keep up with the accelerated pace of commercial services. For example, in a spring 2017 Policy Ignite, I talked about the one-month wait for an EI decision compared to financial technology firms that offer mortgage approvals in 8 minutes. However, there are some weak signals that improvements have begun and are on the horizon. Countries like UK, Australia and Estonia are experimenting with ‘tell-us-once’ approaches to improve citizen services, where information provided by Citizens can be integrated by governments to provide more seamless service. In Estonia, citizens can complete their taxes in minutes because information from other government (e.g. payroll reporting) comes pre-populated in the forms, and citizens only need to amend their submissions rather than starting from scratch. In other cases, countries are creating ‘tell-us-once’ services where information is submitted and used for multiple purposes. For example, the UK has such a portal for reporting a death, where one submission is used by six departments/authorities. I think this is great, because dealing with the loss of a family member is tough enough without having to worry about stacks of paperwork. Having read about such trends internationally, I was pleasantly surprised when I recently stumbled on an example in Canada. 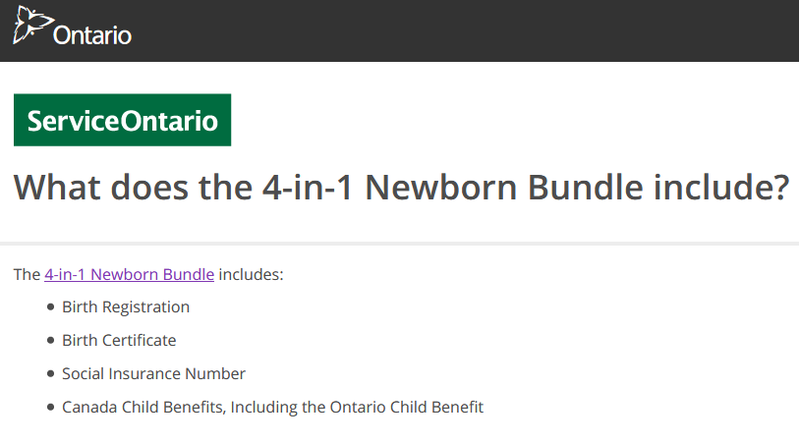 The single portal from the Government of Ontario, in partnership with the Government if Canada, uses information entered once to give new parents a birth certificate, social insurance number and to apply for child benefits. Previously, this would have been four applications across jurisdictions. 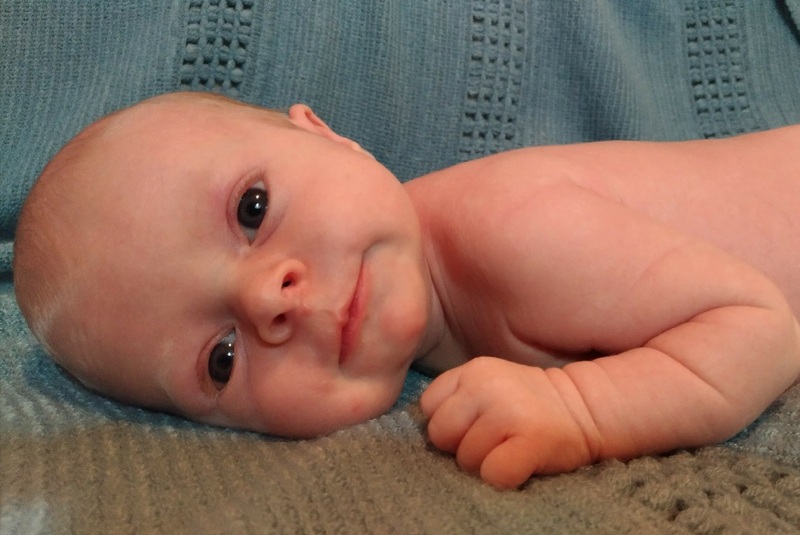 The application only took 10 minutes, so we were able to do it during nap time – which is helpful given that new parents don’t have an abundance of time to complete forms. And, this service has been expanded to other provinces through the leadership of ESDC. Is this a glimpse of the future of government services? Side note: Isn’t she cute?